Designed for medium-duty activities, the KenworthT370 is available in a wide range of models and its tough chassis is capable of tackling even the toughest jobs. 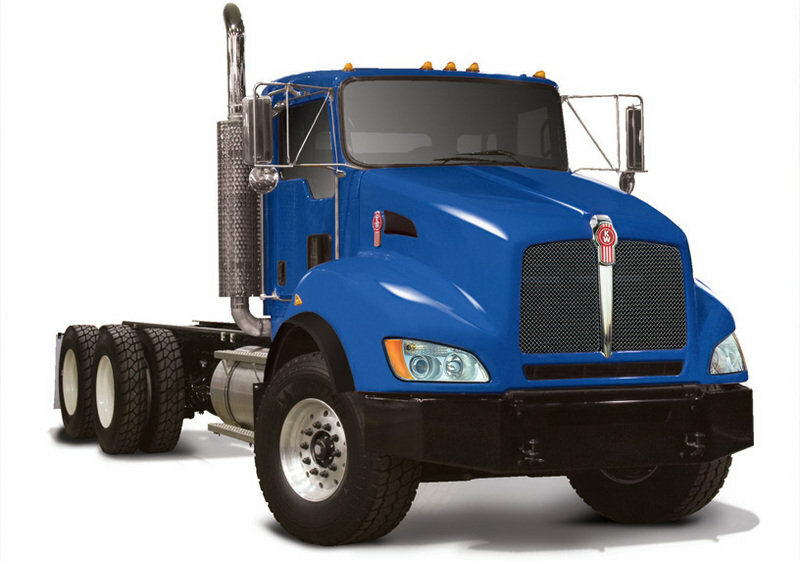 The Kenworth T370 is a Class 7 vehicle, rated at 33,000 lbs GVW. 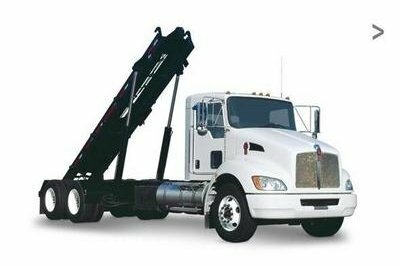 Available as a straight truck or tractor, it can be configured from the ground up for specific applications and has a starting price of $150.000. 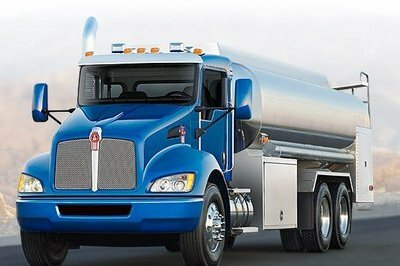 The Kenworth T370 is equipped with the reliable Paccar engines that can be mated on either manual or automatic transmissions which are also available with PTO systems. 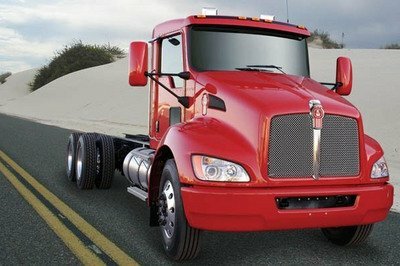 The Kenworth T370 features a conventional cab design with a long nose and a tall cabin. 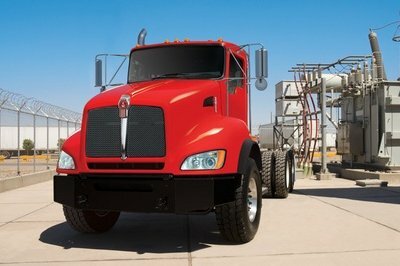 The front end is dominated by the famous Kenworth grille which is sliced in two pieces by a chromed vertical bar that bares the company’s logo on top. 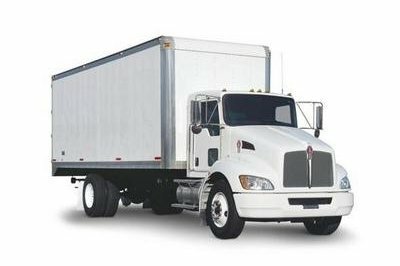 The T series design is one of the most aerodynamic in the business thanks to the raked hood and the slippery oversized fenders. The front big headlights are placed at the bottom of the fenders and feature an advanced forward lighting system which provides up to 30% more down-road coverage than conventional sealed beam designs. Furthermore, beside the standard halogen lamps there are also available optional HID Xenon lights. To lower the overall weight of the truck, the four-piece hood and fenders are molded from Metton, a high-tech light weight composite material which also adds durability. The bumper was designed with fluid lines in order to be more aerodynamic and is fitted with a central air intake which helps to keep the engine cool. Viewed from side the KenworthT370 features a tasty cut-down side glass near the mirrors which was designed to improve the side visibility. In addition to the standard peeper window in the passenger door, optional cab corner windows are also available to help improve visibility in tight places. Our favorite details are the polished aluminum fuel tanks which can be seen fitted under the doors, behind the twin metallic steps. The Kenworth 379 sits on 22.5 inch polished aluminum wheels wrapped in 295/75R22.5 R250F Bridgestone tires. 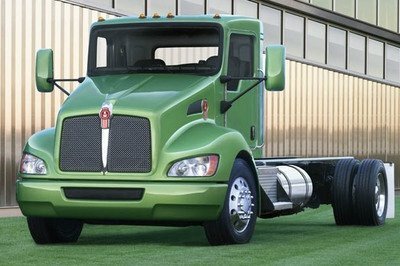 The company’s conventional cab offers acres of space and retains the same typical wrap round dashboard design that can be found at almost any model from Kenworth’s lineup. Aside from some minor trim differences, the rest of the dashboard features the same angular and ribbed hard plastic look as the rest of Kenworth’s trucks. While the interior is hardly upscale and the fittings needed more attentions, the plastics seem durable and well-suited to a rugged vehicle that will be exposed pretty often to arduous working conditions. We also like that the spacious interior is “doghouse-free” to increase floor space and operating convenience. You’ll find the wrap-around instrument panel a bit cluttered, but at least is pretty convenient to read as it offers large, glare-free gauges and quick access to driver controls. Standard features include power door locks and passenger-side electric window. 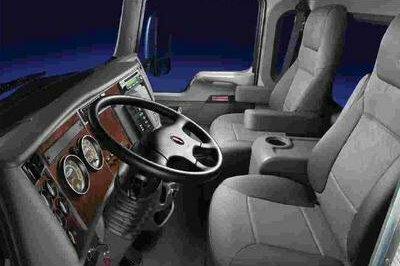 The standard Pinnacle interior is available with the optional Kenworth Air Cushion Plus high back driver seat and Kenworth’s Toolbox Plus passenger seat. The top of the line Apex interior is slightly more comfortable and provides a cloth headliner and a back panel, while optional burl wood dash panels, high back Kenworth Air Cushion Plus seats and a center console are also available. The standard seats are a bit flat for our tastes, but with high cornering forces low on the priority list, serious bolstering isn’t as much of a concern as easy repeated ingress and egress. The seats however, come with a wide area of adjustments while the steering wheel can be also adjusted for reach and rake. We’ll usually continue by saying that thanks to these adjustments it will be easy to get comfortable behind the wheel, but sadly it isn’t the case for the T370, as the adjustments are a bit odd and will take you forever to find an adequate position. On the other hand, thanks to the big windshield and the generously sized mirrors you have an excellent all-round visibility which is also enhanced by the commanding driving position. All T370s come equipped ready for towing and up-fitting with auxiliary equipment like winches and power-take-offs. There are also a bunch of storage places and cup holders spread all over the cabin and our favorite item is the optional center console which comes with two power ports, cup holders and a convenient storage box. 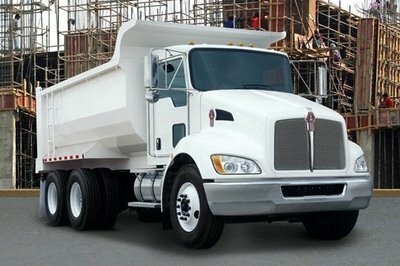 To get the job done fast and safe, the KenworthT370 is helped by a wide range of Paccar Engines. 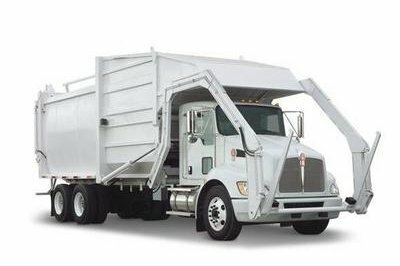 The Paccar PX8 develops between 260-350 hp with a maximum torque of 1000 lb-ft, while the Paccar PX6 offers an output range of 200-325 hp with a peak torque of 750 lb-ft. 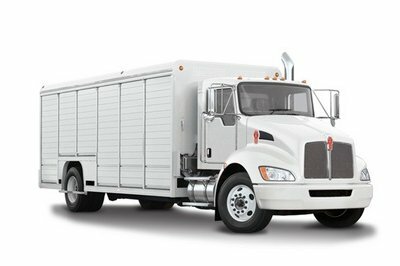 The PACCAR PX-6 is an in-line 6 cylinder unit and sports the best power-to-weight ratio available in its class and the 8.3 liter PACCAR PX-8 is a more powerful option which offers stronger performances and a faster acceleration. The PACCAR engines feature variable geometry turbocharger and come with a high pressure common rail fuel system which supplies a precise mixture of fuel and air at a constant pressure, regardless of engine rpm. 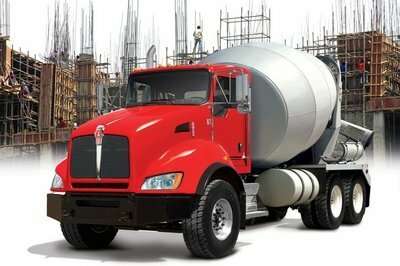 The truck is available with Eaton Fuller Synchronized transmissions with either 6, 9 or 10 speeds or with the Allison automatic transmissions with 5 or 6 speeds. The truck can be equipped with either conventional rear suspensions with a capacity of 20.000-26.000 lb. or with Hendrickson Air Suspensions which can deal with either 21,000 or 23,000 lb. of load. The ride isn’t too forgivable as the spring and shock absorbers will often find hard to soak the road bumps without transferring them into the cabin. Driving this vehicle takes extra care around town, especially when is fully loaded, but the power assisted steering does a good job and its light nature helps you steer this big rig according to your wishes. The truck can be also kept in check pretty easy thanks to the all round hydraulic disc brakes which are combined with ABS for enhanced performances. The Kenworth T370 is a good option for the medium duty missions. Its aerodynamic design is pretty catchy, but the cabin’s built quality could’ve been better, while the NVH levels are also on the noisy side The engines aren’t the best in the business either, but at least they are highly efficient and can deal with big payloads without too much fuss. The ride, on the other hand, is harsh compared to other trucks in the segment, but the responsive steering offers a good handling and the truck also comes with a relatively small body roll.